Below you can view all the homes for sale in the Mountain Creek subdivision located in Roswell Georgia. 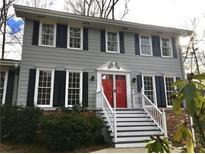 Listings in Mountain Creek are updated daily from data we receive from the Atlanta multiple listing service. To learn more about any of these homes or to receive custom notifications when a new property is listed for sale in Mountain Creek, give us a call at 404-998-4102. This Home Comes With A 30-Day Buyback Guarantee. Terms And Conditions Apply. MLS#6530334. Opendoor Brokerage, Llc. Your Newly Landscaped Backyard Will Be Your Oasis! MLS#6524701. Palmerhouse Properties. Magnificent Large Back Yard Overlooks The Lake. MLS#6521936. Berkshire Hathaway Homeservices Georgia Properties. Magnificent Back Yard Overlooks The Lake. 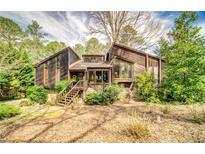 MLS#8547171. Berkshire Hathaway Homeservices Georgia Properties. The Terrace Level Is A Large U Shaped Area With Unlimited Potential For Media, Game-Room, Or Office. MLS#6517554. Atlanta Communities. Swim And Tennis Amenities Available In The Neighborhood! MLS#6124378. Keller Williams Realty Cityside.